Now that Life, Liberty, and Pursuit is launched, I feel that vertigo that comes at the end of an all-consuming project (the marketing continues, natch). What now? It’s not that I don’t have plans – I have all kinds of MS in the queue, begging for attention. The question is really: What to work on first? I printed out four months worth of blank calendars and filled them in. Am I wildly ambitious in what I expect to get done during that time? Well, I usually am, so I’m going to say “yes.” But still, having a direction organizes my thoughts and efforts and helps me prioritize my time. I also cracked open Donald Maass’ Writing the Breakout Novel, a book I’ve been meaning to study for tips on improving my storytelling. I think writers at all levels do well to focus on craft, and doing an intensive study of Williams’ Style book helped me to elevate my craft. Jody Hedlund is leading by example in this regard, hiring an editor to improve her writing in spite of the fact that she’s already under contract to write three novels. I say Brava! to her. All of this is my way of taking my writing seriously. I have every intention of making a career as a novelist. So, time to get down to business. How do you take your writing seriously? Picture and other coolness found here. Great piece. I've taken classes and begun to mingle with people in the business. I accept sound critiques and advice about my work and planning. I'm currently considering going into copyediting. What better way to help me improve my work? Persevering through the hard writing moments (which seem more frequent nowadays) as I attempt to discover that whole style/voice thing. Passion, planning and perseverence – a homemade formula for success. You've got the planning part down, and as far as I can tell from your blog, you've got the passion too! I pretty much work off passion alone, need to do more planning and then persevernce to stick to the plan. Thanks for the inspiration! I'm so proud of you, Susan. 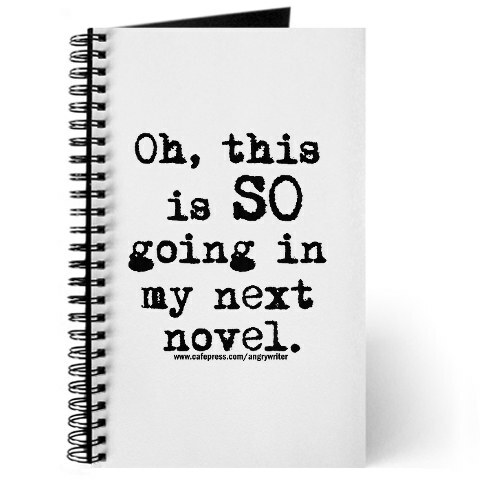 First with your new book, the cool cover, and your ambition to keep writing more and more in the next few busy months. And for honing craft. It's something I need to remember to do more, instead of always focusing on only regurgitating those stories that want out of my head. As for me, the only thing I'm serious about is keeping writing time sacred. My kids are slowly learning mom gets at least an hour in the afternoon to write and morning hours before the sun comes up. Have a great holiday weekend, friend! @Jackee Thank you so much for your sweet words! 🙂 And I think making a committment to a specific writing time is a HUGE part of taking writing seriously. It also sends the signal to family and friends: "I mean this. It's important." Go, you! What an accomplishment! Good for you! Thank you for visiting Mama's Little Chick. I am following you now! I look forward to reading your blog!